An ant bite is quite tiny and harmless, but it can cause pain, itch, swell and even infectious diseases. 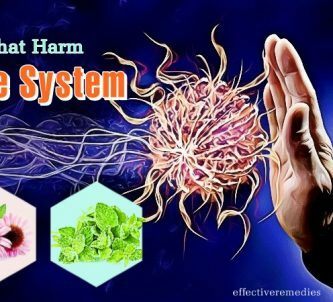 In terms of the bites causing severe problems like difficulty in breathing, nausea, and dizziness, you should meet doctors and take medical profession as soon as possible, but to the normal ant bites, you can use ointments bought from the drugstore or use the methods that are very easy to follow at home. Today, Effectiveremedies.com will introduce you some effective & natural home remedies for ant bites. Keep reading these articles to get useful methods treating ant bites in more details. You will be surprised when knowing that not only is toothpaste useful for cleaning the teeth, but it also is effective in treating insect bites . Almost all of the different kinds of toothpaste have the cooling effect thanks to peppermint or menthol and have cationic antiseptics, which helps to numb the pain and itch and prevent the red swelling from the bites as well. After being bitten, you take toothpaste and then rub it on the bitten points at once, which will make you feel better right later. Besides, you can use toothpaste to get rid of the acne and treat burns and scalds. Lemon juice is always considered as one of the best home remedies for the problems relevant to the skin. In lemon juice, there is acidic which counteracts and neutralizes the poison from the ant bites. You can apply lemon juice directly on the bitten areas and keep doing this many times per day until you relieve the itch, swell, and redness completely. Aloe vera is truly a wonderful plant in taking care of the health and beauty, so having aloe vera inside the house is always a good idea, because, in case of being bitten by insects, especially ants, you can use aloe vera to treat immediately . Aloe vera has the functions of powerful antibacterial and antiseptic properties. Thereby, the infection from the ant bites can be prevented at once, and the irritation, redness, and swelling can be effectively healed at the same time. You should use the liquid from the natural aloe vera instead of the liquid sold in the store. And if you have a sensitive skin type, you should avoid aloe vera since it can bring on the side effects. An alternative remedy you can do at home right after getting an ant bite is using apple cider vinegar. Apple cider vinegar consists of the anti-inflammatory and antibacterial properties which are very effective in preventing infections from the bite, soothing the itch, reducing the swell and helping reduce the size of the affected area and heal it faster. You should dilute apple cider vinegar with water and then apply it directly to the irritated skin to get the best results. Keep doing it until the bite is gone away. It is totally amazing when using ice can help to treat an ant bite. Applying an ice cube is normally the fastest way to reduce swelling & itching and make you feel better immediately. This is because an ice cube can cause the blood vessels to shrink and reduce the release of natural histamine in the body that cause itching feeling. As a result, the feeling will be lessened quickly. Take an ice cube and put it on the bitten skin area or use a bag to pack ice cubes and then apply this cold compress to the affected areas. Instead of using ice, you can apply tea bags to deal with the bites from the ants. Tea bags are loaded with anti-inflammatory properties thanks to tannic acid in it. Therefore, cool tea bags can help to remove the poison and humor out of the bite, reduce itching and swelling . Right after bitten by ants, you take a tea bag and dip it in cold water at once and then put on the spot of the bite for 10 minutes. Keep doing it regularly to get a complete relief from the problem. The next home effective remedy for ant bites is baking soda that always has in your house. Not only can baking soda abate the bites, but it also has antiseptic, anti-inflammatory and anti-blister effects that help to kill bacteria on the surface and reduce the swell and redness of the wounds after several minutes of using . When bitten by an ant or any insect, you take some drops of water and mix it with baking soda, salt, & crushed aspirin. Then, rub this paste on your affected skin. Repeat it thrice per day. Honey also demonstrates its fabulous function not only in taking care of the beauty but also in healing a bite from the ants since it contains anti-inflammatory properties. Applying honey to the bitten surface will reduce the feeling of itching and redness very fast. You should leave it for some minutes and then rinse off. Salt is an extremely familiar kind of spice but very few people know about its amazing functions. Salt has the high ability to sterilize, so using salt to heal insect bites or ant bites is a smart idea. Mix salt with water to make into a paste, and then rub the paste on the affected area, which will stop spreading the infection and prevent itching, swelling and scratching from the poison of the ant right later. Another effective home method we really need to know to treat ant bites and stings is taking advantage of cucumber. Cucumber is very famous for its cooling effect, so it is helpful in relieving the irritation and pain that is caused by an ant bite. You just need to take a cucumber piece and gently rub it on the spot of the ant bite. If you are bitten by an ant, it is intelligent for you to use a soap bar. In case, soap bar shows the most helpful function of killing bacteria on the bite surface and preventing the bacteria from migrating more deeply into the body through the bite as a protective layer. When getting ant bites, take a soap bar and then gently rub in over the affected sites. Besides, a soap bar is also good in reducing itching and swelling. Another effective remedy that you can apply at home for ant bites is making use of Calamine. Calamine is very famous for the functions of soothing the skin, hindering itching and swelling on the skin surface that is caused by any insect bites, of course comprising ant bites. What you need to do is taking an abundant amount of calamine lotion to put it on the bitten points, and then leaving it until the itch and pain are totally gone. You will be surprised when knowing that alcohol can bring a good result for treating insect bites such as mosquito bites and ant bites . Because, in any kind of alcohol products, including mouthwash, vodka or beverages, there is all the astringent effect which is totally able to reduce the pain and itching. Moreover, high alcohol level can suppress the activities of histamine that is the key causing swelling. Therefore, you may take the amount of alcohol, rub it on the irritated areas and let it stay for some minutes. The comfort will come to you right later. Onion is useful for treating a lot of different problems related to the skin, so it is also valuable to heal wounds from the ant bites or other insect bites. Thanks to its anti-inflammatory properties, onion can help you to reduce the swelling symptom, even the itching. So, you just need to cut an onion into slices and put these slices on the ant bites. As a result, the swelling or redness will disappear in a very short-term. Another home material that is at your disposal for dealing with ant bites is milk powder. Milk powder contains plenty of enzymes that are truly effective in neutralizing the ants’ poison and preventing any bacteria from migrating into the body through the wounds. Not only that, it also has a good effect on soothing the itch. Thus, when suffering from ant bites, let’s make a paste with milk powder and water based on the ratio 1:2, and then immediately run on the bites. In fact, a potato is not well-known in treating diseases, but it actually can bring a surprising result in healing bites from the ants. Potato can help both reduce swelling and get rid of the dark points later thanks to its enzyme. Thus, you should take a potato, crush it and then put the crushed potato on the affected area. It’s very useful. In case of the severe swell and itch that is caused by ant bites, tea tree oil will be your the first priority like an effective home remedy. Because tea tree oil is extremely strong, you should dilute it before applying on the bites otherwise, it can make your skin get burned. Right after bitten by more dangerous ants, take a cotton, absorb it into diluted tea tree oil and put on the wounds at once, which may inhibit the wounds from infecting and scratching to the around areas. In case of continuing bad situation, you should come meet doctors. Peppermint essential oil is well-known for coping with the problems affecting the sinuses and respiratory system. Besides, it is also used as a home remedy for the ant bites or various bug bites. You can apply the oil that is already diluted, and mix with the less amount of olive oil. This mixture can be directly applied to the affected skin areas, which will help to repel the itch and swell from the bites. Be sure that you dilute it properly according to the instruction on the bottle to avoid skin irritation. You may feel doubtful for using hot water to treat ant bites, but trust me, it is really an effective way to resolve extreme itching. Of course, you should not use very hot water since it can cause you get burned, you just put the bitten skin areas under the running water. At first, you may feel your itch increase, but after a few seconds, the itch will drift downstream and disappear, which results from that the histamines are brought over the surface of the skin and then washed away. After that, you may not feel the itch, but it can return some hours later. If this happens, you keep repeating this treating method till the itch is totally gone. The faster you treat ant bites, the less pain or itch and swell you suffer from. Therefore, you really need to know all of the effective methods that you can apply at home right later you get a bite. Another home remedy for ant bites, especially fire ant bites is ammonia that is included in Windex or other window cleaner products. You can take some drops of ammonia, dap it on the bites or use a cotton. As a result, ammonia helps to neutralize the venom at once and reduces the symptoms of swelling and itching within minutes. Here is the list of 20 best natural home remedies for ant bites treatment that you should not miss. 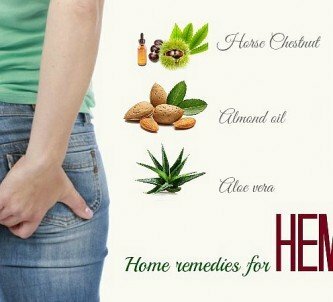 If you want to learn more home remedies for other health & beauty problems, please visit our Home Remedies page. If you have any comment on this topic, please drop your idea in the bottom of this post.